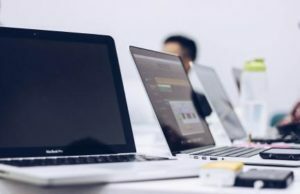 TDS launches 300Mbps internet speed for businesses in St. George, Utah, Mesquite, Nev.
TDS Telecommunication Corp (TDS®) business customers in St. George, Utah and Mesquite, Nev., can work faster online with today’s launch of 300Mbps internet speed. TDS Business 300 internet speed is ideal for businesses with heavy web browsing and internet usage, West said. Business 300 internet provides customers up to 300Mbps download and up to 10Mbps upload speed. The 300Mbps speed was rolled out to residential customers in the spring. Customers can learn more at HelloTDS or by calling 1-855-856-3756. TDS Telecommunications Corporation (TDS Telecom/TDS®), a wholly owned subsidiary of Telephone and Data Systems, Inc., is the seventh largest local exchange telephone company in the U.S. and a growing force in the cable industry. TDS provides 1.2 million connections to high-speed internet, phone, and TV entertainment services in nearly 900 rural, suburban, and metropolitan communities. For residential customers, TDS deploys 1Gig internet access, IPTV service, cable TV options, and traditional wireline services. The company offers businesses advanced solutions, including: VoIP (managedIP Hosted voice), high-speed internet, fiber optics, data networking, and hosted-managed services. Visit www.tdstelecom.com or tdsbusiness.com.